Have you ever said to yourself, “I wish I’d never given up the piano!”? Have you ever said, “I’d love to be able to sit down and ‘just play’ …”? Have you ever wished you could play chords as easily as a guitarist? Take up the piano again! 'Just sit down and play’! Learn to play chords from chord symbols like a pro! 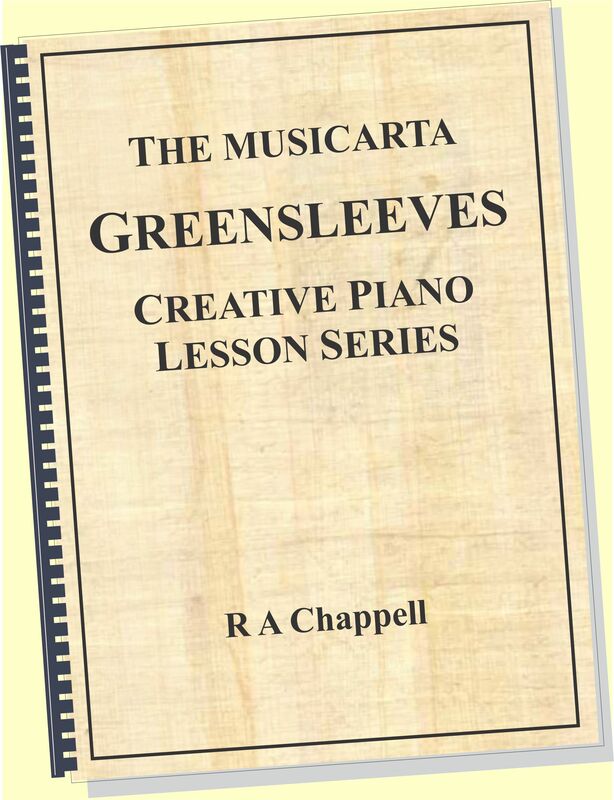 Part One of the Musicarta Pyramids Variations is a tailor-made series of piano lessons online which fast-tracks any committed keyboard player to this Pyramids Variations ‘Concert Performance’ in just eight progressive lessons. Here's a video of the Lesson One performance. And here's a video of the Lesson Eight grand 'Pyramids Variation Concert Performance'. You can play like that - even 'starting from scratch'. Here's how! Learning the piano the old-fashioned way is slow, because you can only play the music you can read. 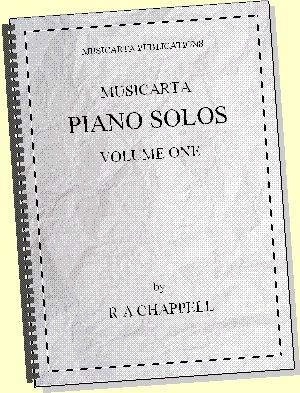 The Musicarta Pyramids Variations piano lessons online guarantee lightning progress by turning this formula on its head. Every lesson in the build-up adds a little to what went directly before – there are no big surprises and no yawning gaps. The result is that you can build up to an impressive performance much faster than you could with conventional teaching. And, unlike conventional piano-piece learning, where you have to master a whole piece to produce a performance, with the Pyramids Variations onine piano lessons you always come away with a piece you can play. Each build-up stage stands as a performance in its own right - much more satisfying and encouraging! This series of audio clips demonstrates the build-up to the Concert Performance in Part One of the Pyramids Variations. Listen to the clips one after the other straight through – you can hear how each module builds on the one before, making learning the Concert Performance in just eight steps easily achievable. If you'd like to see what these performances look like, browse the sample pages in the right-hand series navigation table, or watch a non-stop run-through on this MisterMusicarta Build-up playlist. Don't read music? Not a problem! MidiPiano is small, easy to use, and has invaluable educational features. Note that there’s no delay waiting for video to buffer when you use MidiPiano to play the Pyramids Variations MIDI files on your own desktop. 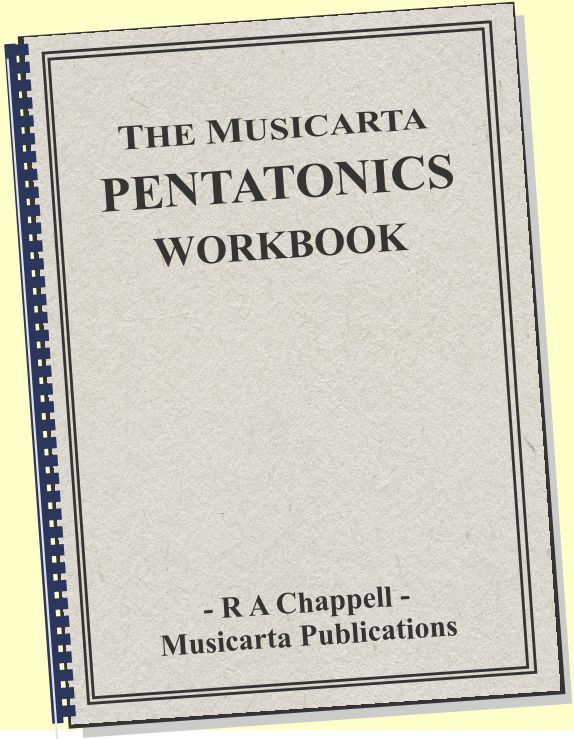 In fact, the Pyramids Variations is a great way to learn to read music without having to use beginners’ books – and going back to beginners’ pieces! 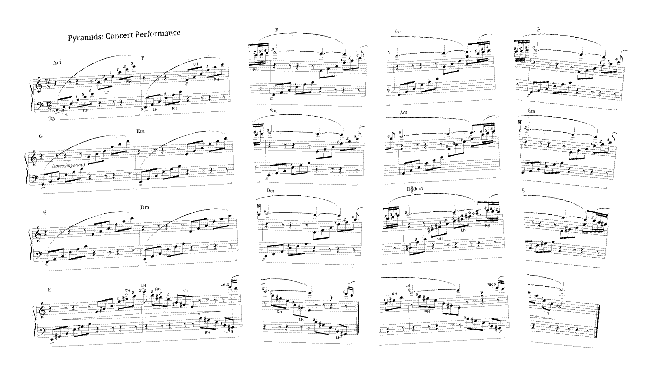 Your download includes twenty-six videos showing module performances playing on the MidiPiano keyboard while the written-out music scrolls across above. Here’s the MidiPiano-plus-scrolling-music video for Lesson Three, where you add the melody notes on top of the chords. ... won't frighten you a bit! 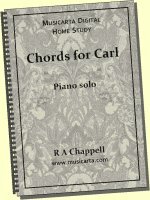 Home-study download comprising a 150-page PDF, 200-plus MIDI files of the musical examples and a free ‘virtual keyboard’ MIDI file player. Study online with audio files of all examples and 50-plus how-to videos. A comprehensive creativity booster for every keyboard player. Once you’ve completed the eight lessons which build up to the Concert Performance and have a good grasp of the ‘harmonic material’, the Pyramids Variations offers you the opportunity to move forward into improvising, composing and ‘just playing’ by showing you how you can play the Pyramids chord sequence in many different ways. 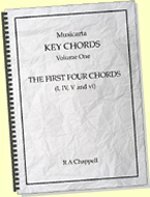 Variations are a great model of keyboard creativity in action – playing a dozen variations on one chord sequence will teach you a lot more keyboard creativity than playing a dozen different chord sequences. And because you know the Pyramids chord sequence so well, you’re able to practise creating music by combining and varying slightly the familiar building blocks – practical knowledge you can apply to any chord sequence going forward. Here are some of the variations on the Pyramids chord sequence you learn in the second half of the Pyramids Variations. Melodies usually move between chord tones via a series of non-chord in-between notes. The first module in the Variations section teaches you to think like a composer by taking a close look at what actually happens between the main anchor notes. The Pyramids chord sequence is custom-made to give you the maximum musical return on your investment of time and effort. For example, raising the top of one chord conveniently produces an inversion of the next chord in the sequence. Easy, but sounds good! The Pyramids Variations repeatedly shows you how to combine things you know in new ways to produce lots of new music relatively easily. These Descending Variations turn the mixed inversions upside down and put the melodic patterns from the Developing the Bass Line module at the top. The six notes in the Basic Music-making Position make six-eight the obvious time signature, but it has quite a ‘classical’ feel. This module takes our chord sequence into the more rock-sounding four-four time sequence, with in-depth instructions for this attractive 3+3+2 quaver pattern. Any self-respecting ‘muso’ has to know about the circle of fifths! By adjusting just three bass notes, you can turn the Pyramids chord sequence into a circle of fifths chord sequence and play it until you know the circle of fifths by heart. The Pyramids Variations ends with a springboard round-up of ideas and possibilities – examples of the treatments you could use on any song or chord sequence. Here are a couple of examples – perhaps you can already start to hear how the familiar building blocks are being re-combined! The Pyramids Variations brings music theory alive by showing you how to play attractive music which demonstrates each element in turn. You build your theoretical knowledge in step with your performance, in a way which will allow you to use it creatively going forward. Building major and minor chords, understanding chord symbols, forming inversions, seventh chords, suspensions and ‘slash chords’, song form, syncopation and anticipation, playing a chord sequence in different rhythms – a practical, hands-on introduction to essential music theory. What exactly is the Pyramids Variations? A 150-page PDF file, professionally formatted with navigation links and print-ready. Audio and MIDI files for the 200-plus musical examples in the PDF file, arranged and referenced for efficient studying. The audio files are in MP3 format which will play on virtually all media players. Twenty-six videos showing all the main performances playing on the MidiPiano virtual keyboard with the written-out music scrolling across in sync. 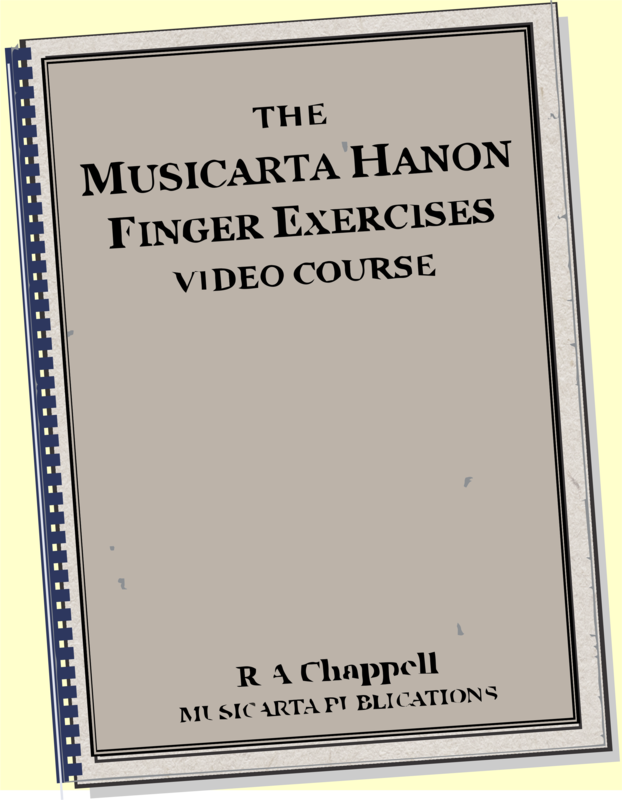 The Musicarta Canon Project is available as an internet download. The download version is securely hosted with E-Junkie, a reputable and long-standing service provider. What happens when I press the download ‘Buy now!’ button? You will be taken to E-Junkie’s check-out page where you can pay using your PayPal account or your regular credit card. Once your payment has gone through, you will be sent an email with your secure download link. YOUR SUCCESSFUL DOWNLOAD IS GUARANTEED! You have five attempts and twelve hours to get your download. If you experience difficulties, contact Musicarta via webmaster@musicarta.com. NOTE:. To avoid frustration, you should temporarily disable any ‘accelerated download’ toolbars you might have installed, and try to download outside peak traffic hours. A piano or keyboard – and some persistence! A computer with a PDF reader and a media player. Audio files are in MP3 format, download videos MP4. 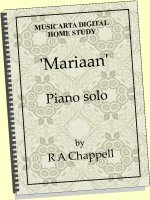 You do not need to be able to read music, or to have any special computer skills or know-how – you play MIDI files on MidiPiano exactly the same as audio tracks in your media player. Do you want to leave written music behind and let your creativity out of the box? The Pyramids Variations is packed with new ways of understanding music which will develop your musical creativity. 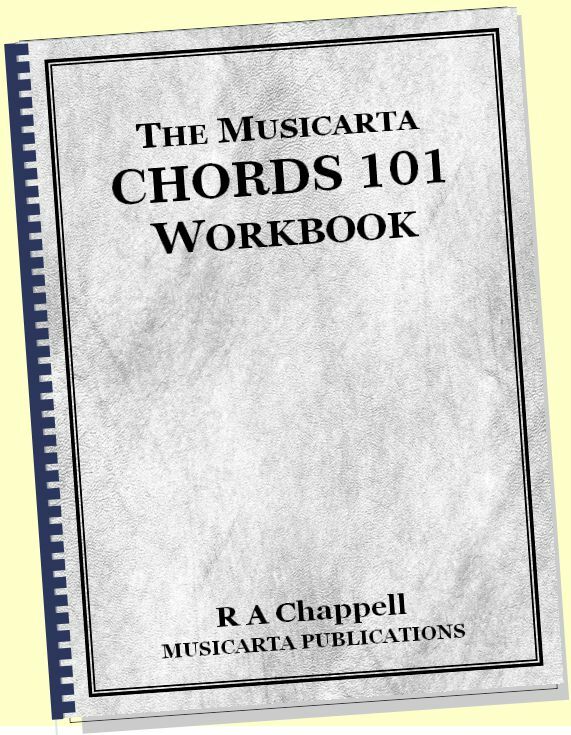 The many illustrations and a structured approach to memorising both the music and the ‘underlying structures’ like the chord sequence, song form and keyboard texture, will help classically trained pianists and adult re-starters break free of written music and start to see the ‘music in the keyboard’. The Pyramids Variations provides an ideal creative supplement to conventional piano lessons.Teachers can familiarise themselves with the content of the modules one at a time and use them as a ‘script’ for a manuscript-free lesson segment. Coach pupils to a performance well beyond their expectations and put them on a structured programme of ‘really useful’ music theory at the same time! Teachers can decide on an individual basis how much of the related theoretical background to present. The Pyramids Variations will continue to be actively supported and developed at Musicarta. Checkout the Musicarta TPV Diaries YouTube channel regularly for new and inspiring material! Purchasers of The Pyramids Variations will receive free download links for new material as it becomes available. Coming back to material like this is a great opportunity to deepen your understanding of what really makes music tick. 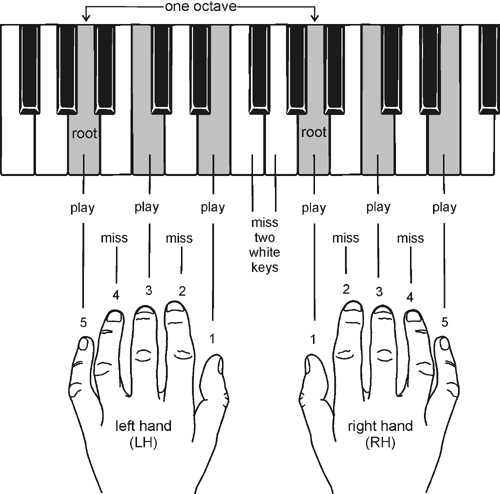 Now check out the lesson-by-lesson build-up using the right-hand column series - or just start here and follow the bottom-of-page links to see how you could soon be playing an impressive piano solo and start learning how to improvise yourself.